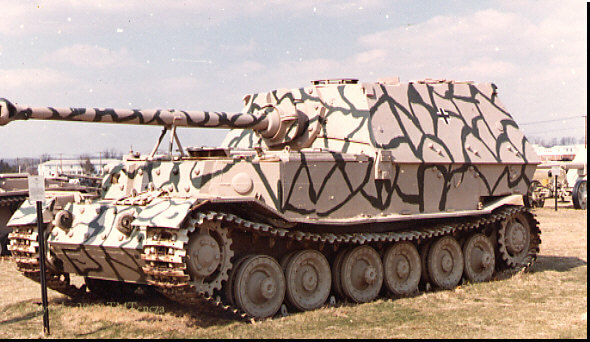 1943 - German SP Assault Gun/Tank Destroyer 8.8cm(3.5") Mounted on Porsche Tiger Tank chassis (Sd Kfz 184)"Elephant" "Ferdinand"
This was a heavy assault gun/tank destroyer with a fixed superstructure. Completed in time for Kursk offensive. 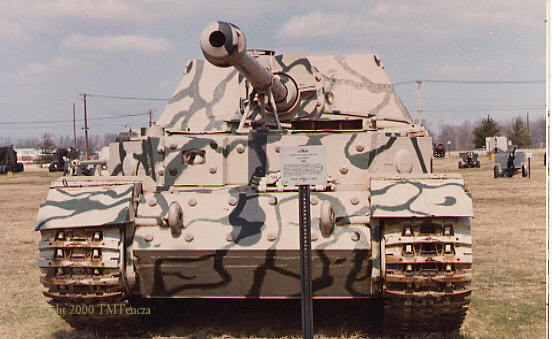 Hull was Tiger with extra armor plates bolted to the front to provide 200mm of armor. Powered by an electric gearbox. No secondary armament until 1943. 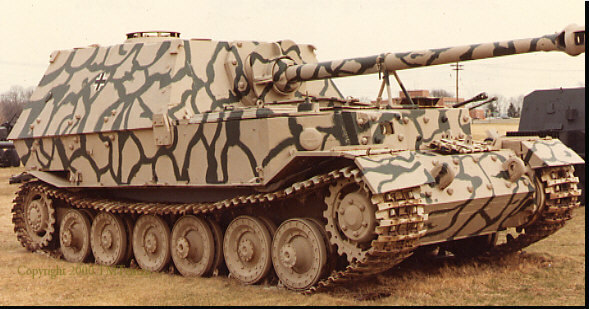 Used in Italy in 1943-44 Approximately 100 built.